There’s a lot more to fitness than just pumping weights in the gym and loading up on all the protein you can lay your hands on. Fitness is a long-term process, wherein one follows a balanced and healthy diet and follows a workout regime that is tailor-made to fit the demands of an individual body type or form. Moreover, fitness is something that cannot be achieved overnight, but instead demands persistent and dogged efforts on the part of a person, who is determined to be holistically healthy. Bollywood celebrities lead very hectic lifestyles, but still manage to keep fit, all thanks to their expert team of trainers and nutritionists, who custom-design a diet and exercise regime that fits the stars’ personal needs. 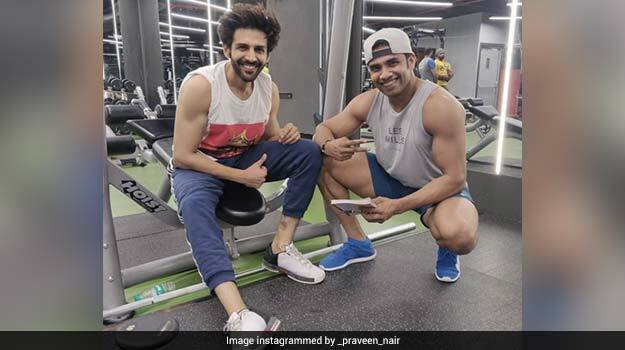 These trainers and nutritionists are experts in crafting the Bollywood physiques that we have come to admire, emulate and somewhat envy. But there’s no doubt that there’s massive effort involved. The trainer spilled the beans on how to develop a ‘healthy mindset about eating’ on his Instagram page and we thought everyone should know what he had to say. “It is late in the afternoon, about two to three hours after lunch and your stomach starts to rumble. You are in starvation mode and thinking about all the things you can eat — the donuts in your office break room, cookies in the pantry or the vending machine stocked with candy bars and chips”, said the expert in his post. “Temptation is staring you in the face and so you give in. If only deciding what to eat were not such a strenuous thinking process. Create a mindset to grab healthy foods such as an apple rather than that candy bar”, he added. Eat Often: Nair says that one should eat every two hours, if they are training. “Do not let your body get to the point where you are ravenous and will eat anything in sight.” He advices carrying healthy snacks like fruit, trail mix, etc., to beat temptation. Eat Fresh: Praveen Nair says that we should all include more whole fruits, veggies and whole grains in our diets. “These foods contain fiber, which will take longer to digest keeping you full longer”, he says in his Instagram post, adding that these foods can also help in keeping you alert and active. Cheat Date: Praveen Nair encourages people to make a date with their cheat meals, rather than depriving themselves of their favourite indulgences. “Letting yourself cheat one day will actually make you want to eat healthier the rest of the week”, he says. Well, now that you’ve heard it straight from the horse’s mouth, guess you’re going to start on your fitness plan right away!